The Original CrinkleBall is an all time favorite. Cats love to play with these toys. The crinkle sound drives cats crazy, and they must have it! Once you squeeze the crinkle ball you will have your cats attention. 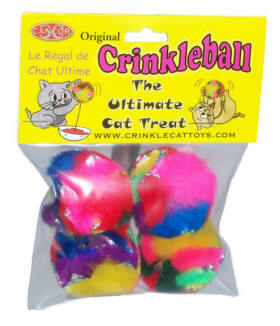 They will stair at the crinkle ball ready to pounce and attack the fun filled cat toy! Your cat will love you when you introduce them to the Original Crinkle Ball!